1. How do I add/delete players and coaches to my roster during the season? To add a player to your LIJSL roster during the season, have the player's parent register the child on Sports Sign Up using the link on the front page of the HBC website. 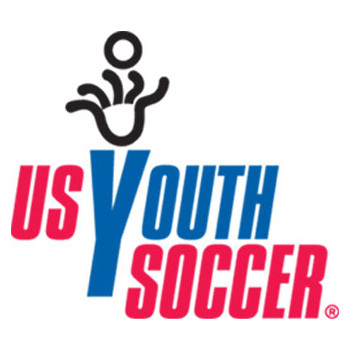 Once complete the coach must provide an LIJSL add/delete form, completed US Club registration form and a legible copy of the child's birth certificate or passport. Place the items listed above in an envelope (write your team name, contact name and telephone number on the envelope) and place it in the plastic box NO LATER than 8:00pm on the Sunday preceeding the weekend for which you need the pass. If your paperwork is not dropped off by 8:00pm on the Sunday, you will NOT get the pass for the following weekend. This procedure applies to "NEW" players only. Transfers (players who have been rostered with another club to start the season) must be handled in a different manner as you must also obtain a 3 part transfer form from Jim. This form must be signed by the parent where indicated and returned along with the other items listed above and an additional check in the amount of $100 payable to the LI Junior Soccer League. It is NOT necessary to have the other club complete their portion of the form...we will take care of this for you. The parent must also register the child on Sports Sign Up. 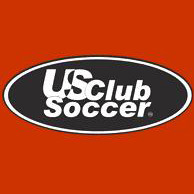 To add a player to your US Club roster during the season, follow the same procedure with Sports Sign up. Once the child is properly registered the coach must provide a completed US Club registration form and a legible copy of the child's birth certificate or passport. Place the items listed above in an envelope (write your team name, contact name and telephone number on the envelope) and place it in the plastic box NO LATER than 8:00pm on the Sunday preceeding the weekend for which you need the pass. We will do our best to get you that pass for the following weekend however, we cannot make any guarantees as there are issues outside of our control with US Club that may prevent us from being able to process in a timely manner. 2. I am a coach, how do I register with Risk Management? All coaches must first register as a coach with Sports Sign Up. Follow the directions noted on the registration page. Contact Jim Neuburger at jneuburger@hbcsoccer.com with any questions. All coaches must have a pass in order to be on the players sideline during a game. In order to obtain a pass, all coaches must first complete Risk Management. This is done through an agency contracted by Eastern New York Youth Soccer and has nothing to do with the HBC Soccer Club. Click RISK MANAGEMENT and you will be brought to the website, register and complete the form. If you are accepted, you will receive an email within a day or two stating that you "have been accepted". This message must be printed out and submitted with your pass, Blue for a permanent pass, Yellow for a temporary, and an add/delete form. ENYYSA will contact you if your background check reports either a criminal record or does not verify your personal information. During the time it takes to communicate with you to obtain the correct information, YOU WILL NOT BE ABLE TO PARTICIPATE IN SOCCER ACTIVITIES. Therefore, you are advised to CAREFULLY review the information you are submitting. ENYYSA recognizes that not everyone wants to go through their on-line risk management registration system. Attached is a link to their Alternate Background Check Procedure. All coaches must have a US Club coaches pass in order to be on the players sideline during a US Club game. In order to obtain a pass, all coaches must first register as a coach on Sports Illustrated for each team they will be coaching and then complete Risk Management This is done through an agency contracted by US Club and has nothing to do with the HBC Soccer Club. After you have been accepted, we will register you with US Club and obtain your pass. This is done through an agency contracted by US Club and has nothing to do with the HBC Soccer Club. We will do our best to get you that pass for the following weekend however, we cannot make any guarantees as there are issues outside of our control with US Club that may prevent us from being able to process in a timely manner.